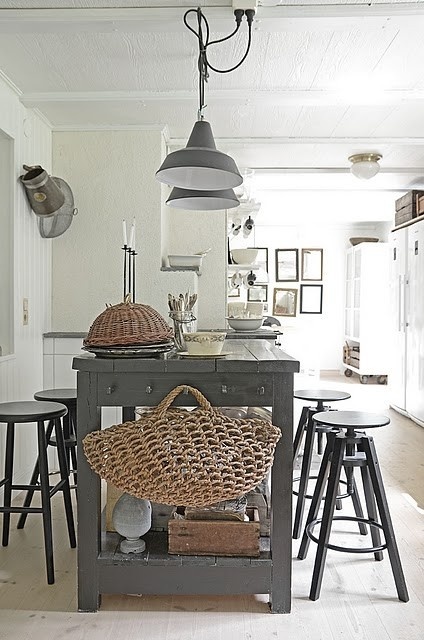 I am loving the look of barn lamps just about anywhere in a home (yes I have mentioned this before in another post). I am seeing these everywhere in photos and this week I found some at a dealer I work with here in Montreal! I picked up four of them to sell and they are beauties! Take a look at some shots I love with barn lamps. The ones I bought are just like this.